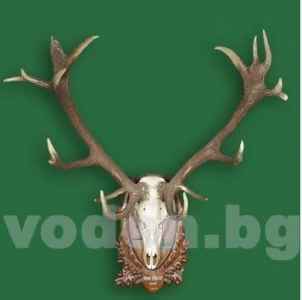 The history of the trophies in "Voden - Iri Hisar" is remarkable. 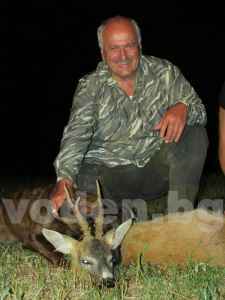 The Hunting area holds the national record for fallow deer and mouflon trophies, six out of the top ten largest red deer trophies shot in the country are from this area. 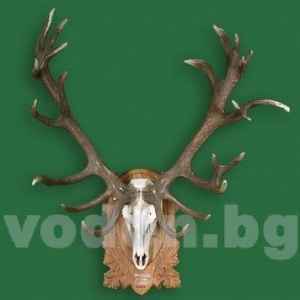 The trophy’s statistics for this species are very impressive, significant numbers are known as capital trophies, these are over 250 CIC points and were mostly shot in the 1980’s: 269.94 points ( 17.2 kg . 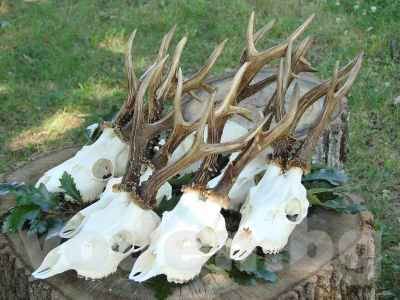 ), 263.23 points (14.8 kg.) 256.78 points (14.56 kg . ), 255.12 points ( 13.15 kg . 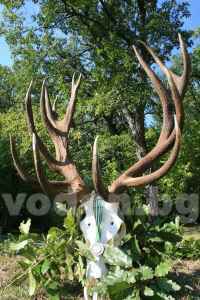 ), 254.54 points ( 13.7 kg . 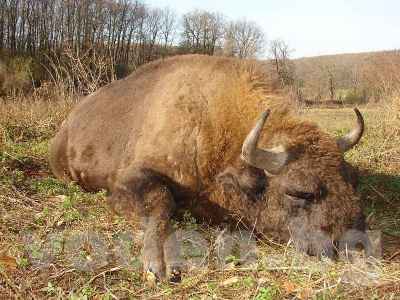 ), 253.62 points (14.99 kg .) . 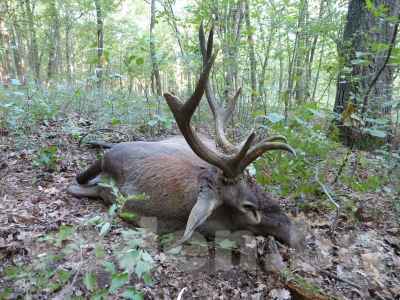 In resent years, there has been a decline in the size of trophies, but a trophy of 224.95 CIC points in September 2012, indicates that there could well be larger trophies expected in the future. 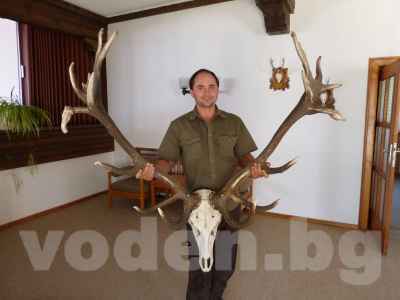 Hunting area "Voden - Iri Hisar" holds the national record for a fallow deer trophy, measured at 207.59 CIC points, 3.99 kg., shot by Todor Zhivkov back in 1984. 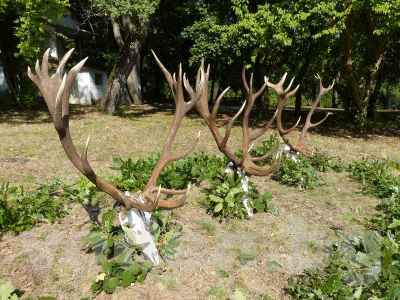 Of the largest ten trophies shot in Bulgaria, seven are from this area and five of them were evaluated above 200 CIC points. 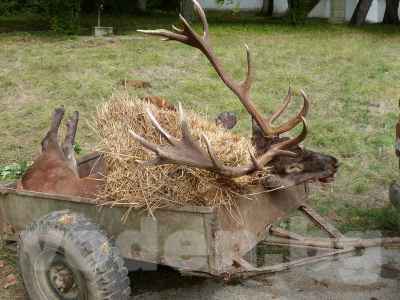 Recently, the fallow deer population has been in crisis, an insignificant number of large trophies have been shot. The gamekeepers are working hard to help herd’s recover, taking actions like: importing quality animals to refresh blood stock and preventing illegal hunting. 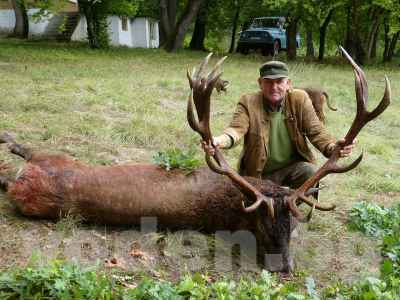 Another national record: 240,05 CIC points, 109.50 cm, shot in 1986 by Todor Zhivkov. 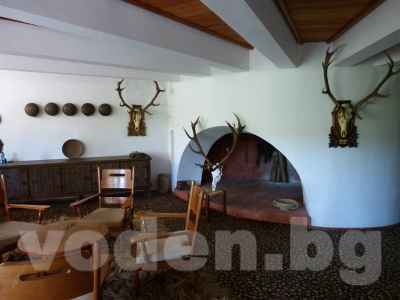 Seven of the best ten mouflon trophies in Bulgaria were hunted in "Voden - Iri Hisar". 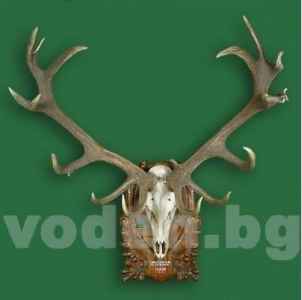 In this category the hunting area has two trophies in the top ten of Bulgaria - 140,15 CIC points (25.45 cm again shot by Todor Zhivkov in 1983), and 137.95 CIC points (28.20 cm, shot in 1969 by Emilian Stanev ).